It has only been on sale a few months, but the popular 2013 Ford (NYSE:F) Escape has just received its second recall relating to potential engine-bay fires. According to official recall documents posted on the National Highway Traffic Safety Administration's website, the recall involves replacing a faulty cylinder head cup plug, otherwise known as a freeze plug. As the coolant drains and hits the warm engine, the water content of the coolant will evaporate, leaving behind unevaporated glycol residue on the engine block. Under the right conditions, this glycol residue could ignite, starting an engine bay fire. Like the previous 2013 Escape recall, initiated after Ford discovered a faulty fuel line could potentially start a fire, the current recall only affects 2013 Escapes fitted with 1.6-liter EcoBoost engines. A total of 6,146 Escape 1.6 EcoBoosts, made between 4 October 2011 and 31 August 2012, are involved in the recall. As with Ford’s previous Escape recall, the automaker is acting quickly to remedy the problem, with recalls expected to begin on or around September 10. The recall will involve sealing the existing plug, and fitting of a secondary plug cover, free of charge. 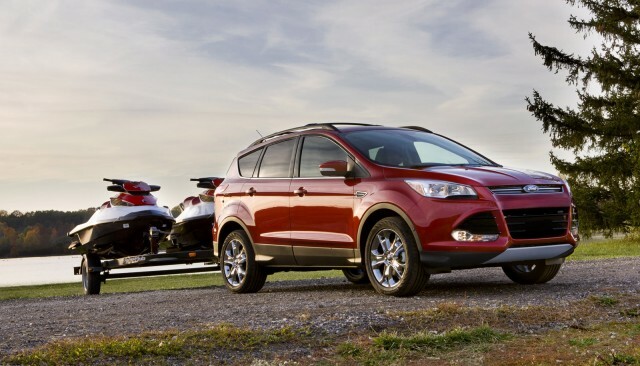 Concerned Ford Escape owners can call Ford on 1-866-436-7332, or the NHTSA on 1-888-327-4236.